From NPR: "Children who watched the fast-paced cartoon SpongeBob SquarePants did less well on tests of attention and memory, according to new research. Children who watched a slower PBS show, and children who colored, did better. Other studies have show long-term effects from fast-paced or violent shows." My own take? 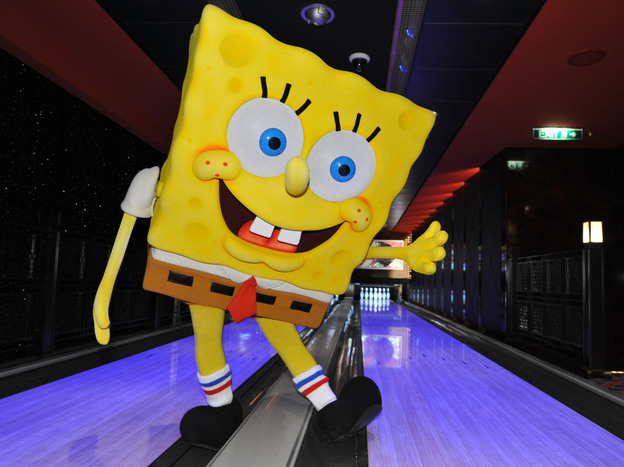 It's not SpongeBob's "speed" that makes him a deleterious influence on young minds, it is more a matter of narrative. Really. The poor sod is the victim of hopeless writing. SpongeBob is no Bugs Bunny. I knew Bugs Bunny. Bugs was a friend of mine, etc. etc.